What if your business could go viral the way some successful marketing campaigns have? What would that mean for your sales and the number of new leads you’d generate? It would probably all lead to good things for your company. At least, that’s what happened to companies who went viral with their video marketing campaigns. But this isn’t just a trend among big businesses. Smaller companies are also turning to video marketing – and they’re seeing big results! Web videos are the future of online marketing. Here’s why! What Makes Web Videos So Useful? Do you remember loving picture books as a kid? In all likelihood, that same fascination hasn’t faltered in the digital era. Today, we’re exposed to more pictures and videos than ever before – thanks to the Internet. Human beings have always been more receptive to visuals than text. Though marketing has taken auditory and written forms throughout history, it has, for a large part, taken the form of visuals. Technology has only catered to our love of visuals more. In some ways, it’s even conditioning us to respond more to visuals than any other medium. Creating videos used to entail a big production all in itself. But with smartphones and handheld video cameras, it’s never been this easy to create and upload videos. Search engine optimization (SEO) is the nature of modern-day marketing. Without SEO, websites can’t improve their visibility on Google search result pages (SERPs). Websites optimize everything from their mobile compatibility to their blog content. They do this in an effort to gain web traffic and improve their SERPs visibility. But Google routinely changes its PageRank algorithm. As a result, these changes are always molding common SEO practices as we know them. Despite changes to the Google Algorithm, video content has risen as one of the newest and most prominent SEO practices. And it’s no surprise either. There’s been a rapid development in video-oriented social media platforms in recent memory. Platforms like Snapchat, Instagram, and Facebook Live currently dominate the social media stage. Because people love visuals so much, web videos have the power to allure people in and keep them interested. Bounce rates decrease as people stay on web pages longer. This translates well on site statistics, which Google takes into account. Google not only likes websites that keep people logged on for longer. Google also likes backlinks. And a good way to build backlinks is by incorporating videos on pages of written content. Because people like video so much, they’re more likely to read corresponding text. They’re then more likely to click on links within the corresponding text. Hence, backlinking. YouTube has only enhanced this. In fact, video and written content are a match made in Marketing Heaven because of YouTube. Companies not only boost their YouTube channels when they add new video content. They can also embed their videos to their websites, as well as share them across several social media platforms. As a kid, your favorite form of storytelling most likely entailed visuals. Though adults are more open to the idea of reading novels and long texts, they do still appreciate a good visual. It’s the same thing when confronted with an unfamiliar brand. Every brand has a story to tell. And by telling that story, the company sells the brand and leaves a lasting impression on those who come across it. Because web videos dominate nearly all other mediums today, they can only make brand storytelling more effective. But people’s affinity with videos isn’t the sole reason for this. 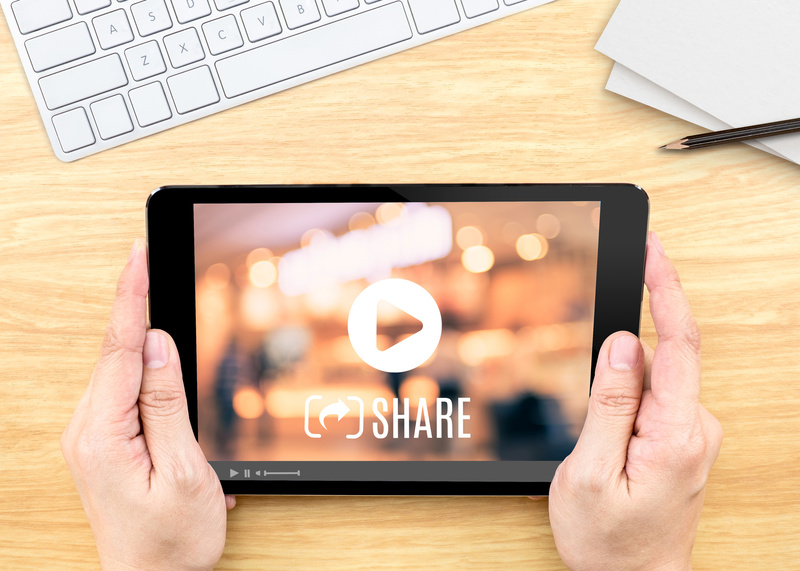 With a simple click of a share button, a single person can spread one video to hundreds of social media feeds at a time. With multiple social media platforms to do this, there’s hardly a limit to where your videos can end up. As technology and social media advance, web videos are only going to grow more prominent. In some ways, video marketing is already dominating other marketing mediums. HD Marketing & Design is here to help you make a lasting impression for years to come. We offer a range of web design, development, and marketing services, including video production. Contact us today! This entry was posted in Internet Marketing / Online Marketing, Video Production. Bookmark the permalink.